The following sitting meditation and teaching is offered in the tradition of Vipassana (insight) and basic Buddhist philosophy. Any and all useful tools for guiding ourselves to full awakening in this moment will be employed as needed! at The Environmental Center, 16 NW Kansas, Bend, OR. For the months of February and March, the meditation time will be facilitated by Scott and Joan Benge who will be offering a study of the "paramis," the virtues to cultivate on the path of awakening. We will be exploring the book, Why Buddhism is True, by Robert Wright, starting on April 8. Available on Amazon for less than $6 used. Patty is a lifelong spiritual practitioner. At a young age, trees and candles provided her first concentration objects. She moved on to study of The Tibetan Book of the Dead in the '60's. Then she discovered Suzuki Roshi's Zen Mind, Beginner's Mind and began to sit more formally on a cushion. 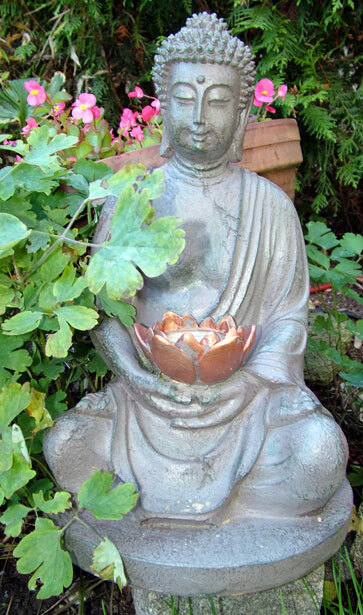 She attended Sunday sits at Green Gulch Zen Center north of San Francisco in the 1970's. Her study and practice of Vipassana meditation began in the 1980's upon reading Stephen Levine's book, Who Dies?, after a series of personal losses. Since then she has meditated with Burmese, Thai, Vietnamese, and American teachers. Rodney Smith of Seattle has been her primary teacher for over the last 15+ years. Another important influence on Patty's path has been the non-dual teachings of Ramana Maharshi, Nisargadatta Maharaj, and others. The present day personification of these is the teacher, Adyashanti. And as well, the Yoga Sutra of Pantanjali provides guidance on the spiritual path. Nature and wilderness have offered some of her most profound insights into the terrible beauty of impermanence.